The list of all expenses done since 21 May 2015 with annual funds received from the 2015 State Budget. Although the request was duly sent and was duly received through official mail, we never got an answer on the subject matter of the request. Considering the Political Parties to be important public players, and the transparency with their finances of a particular importance, we have also addressed the Commissioner on the Right to Infomation and Protection of Personal Data with a complaint on the relevant subjects. We are sending attached a copy of the official requests as well as the complaint sent to the institution. Our request is based on article, 9, paragraph 3 of the Constitution, article 87/1, article 89 and 90 of the Electoral Code, and on law no. 119/2014 “On the Right to Information” article 2, letter c, article 3 and article 11. Wishing to give our contribution in establishing the democratic culture of transparency, in the coming weeks or months, in cooperation with one of the best law firms in dealing with public law cases and with expertise in electoral legislation, we will address the institutions and the judiciary with the aim of getting a doctrinal interpretation and regulation of the Right to Information on Electoral Financing. 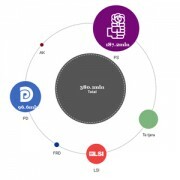 Although the campaing is over, and the auditing reports of the electoral subjects may be published, we deem it appropriate to have a doctrinal interpretation of whether the political parties are subject to the right of information, as well as whether they should make publicly available in real time the data on the campaign donors and campaign expenses. Having a high regard on the role of the traditional media in covering issues related to electoral transparency and developments, I invite you to follow up on this initiated complaint/case. Should you need further information, please do not hesitate to contact us. Please find attached a copy of the Complaint addressed to the Commissioner on the Right to Information and Protection of Personal Data and the request addressed to the Political Subjects.